See guest artist Chris Ahalt in live, narrated demonstrations in the Amphitheater Hot Shop on September 2 and 3 from 10 am to 12 pm and 1 to 4 pm. Chris Ahalt is a flameworker with 19 years experience. In 2005, he apprenticed under master flameworker, Cesare Toffolo, in Murano, Italy. There he learned many of the Venetian techniques for cups and vessels that have given him the building blocks to create glass of the highest quality. Ahalt has become known for his series of sculptures centered on endangered animals that are strung up as balloons. 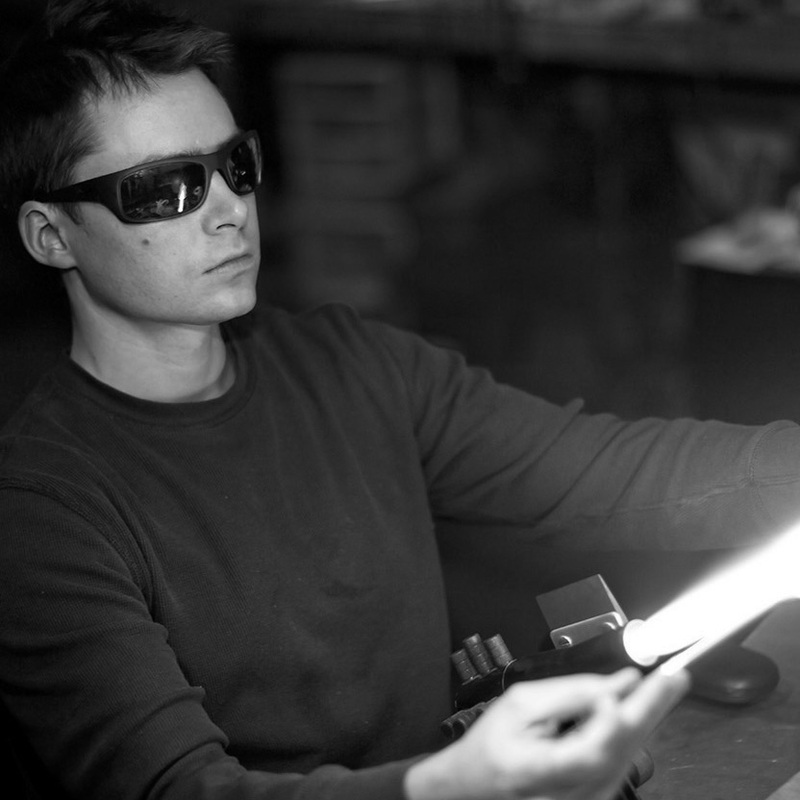 Chris Ahalt is a flameworker with 19 years experience. In 2005, he apprenticed under master flameworker, Cesare Toffolo, in Murano, Italy. There he learned many of the Venetian techniques for cups and vessels that have given him the building blocks to create glass of the highest quality.